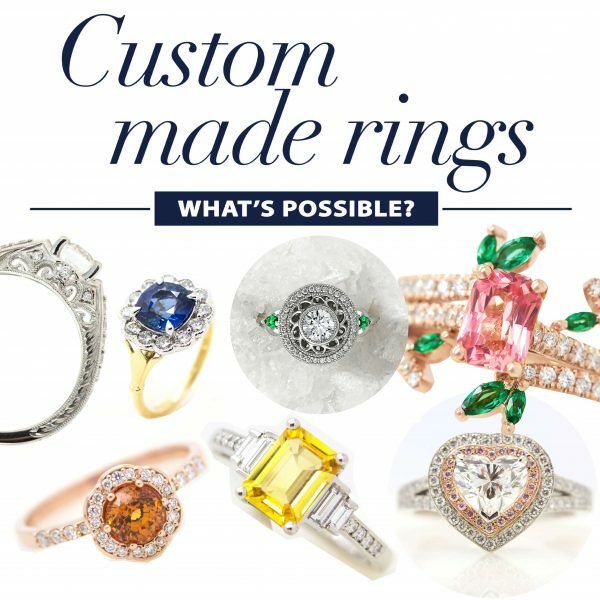 Home » Custom Made Rings: What’s Possible? 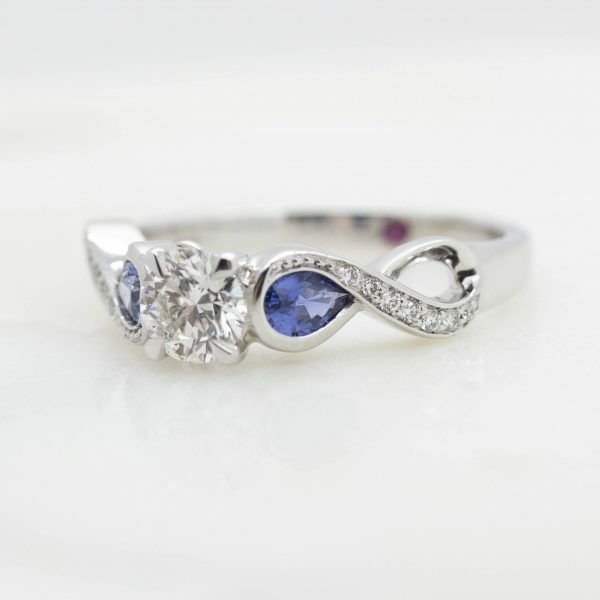 Custom Made Rings: What’s Possible? 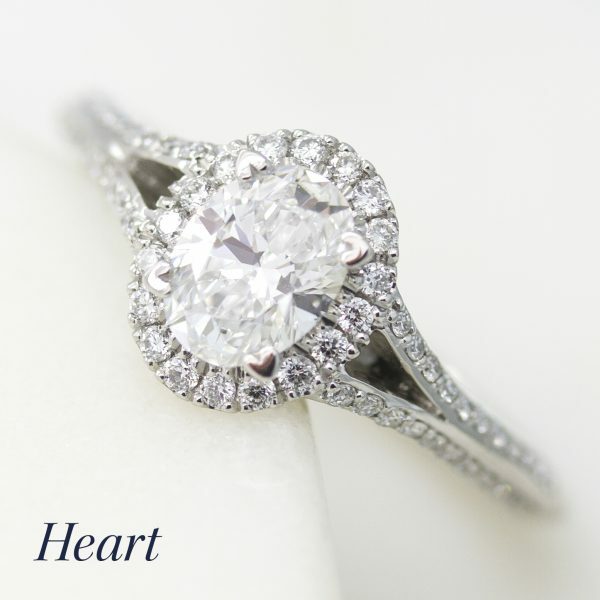 With Taylor & Hart, the possibilities for custom engagement ring design are only as wide as your imagination. Shoppers are no longer being constrained by the limiting options showcased on local jewellers’ shelves. 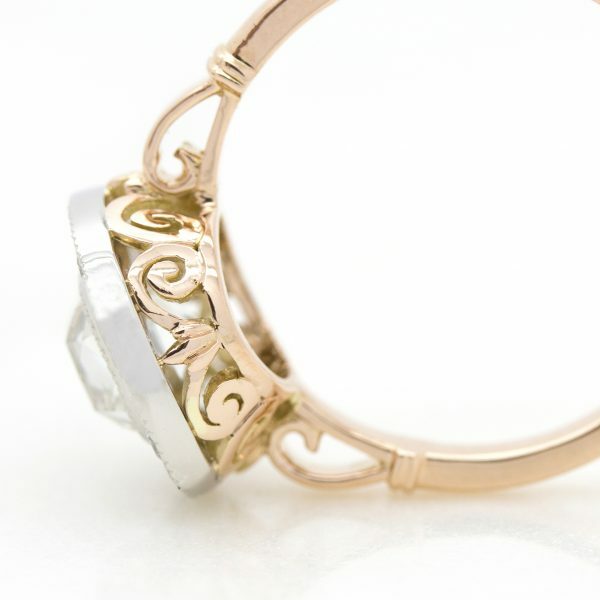 People can be an inherent part of creating an entirely personalised piece of jewellery. 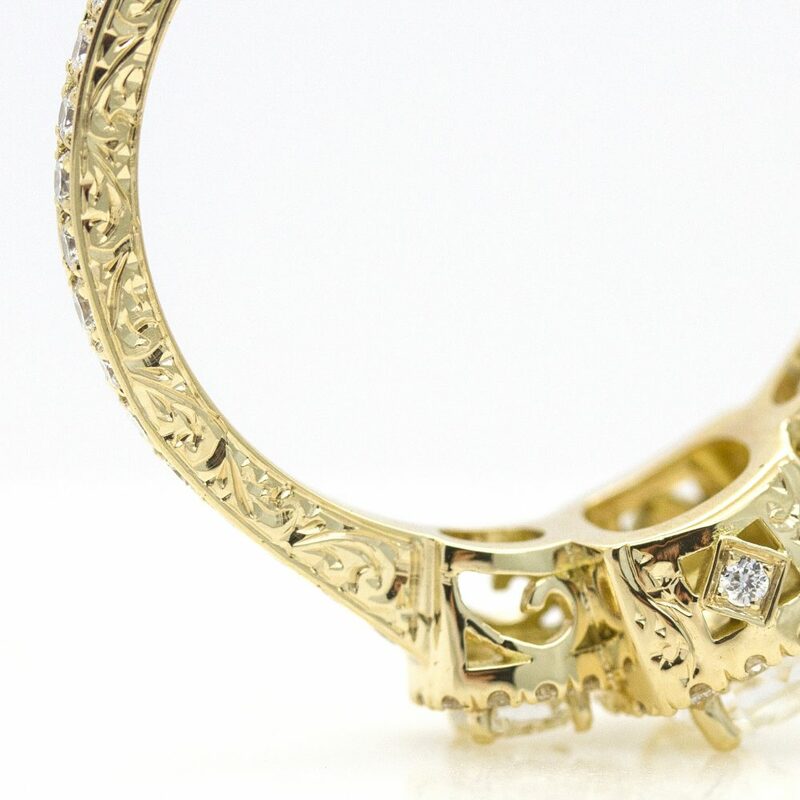 Thanks to the innovation of softwares like 3D CAD designs and printing, it is now possible for anyone to create unique, one-of-a-kind jewellery pieces that reflect their style and personality, while solidifying their creative freedom. 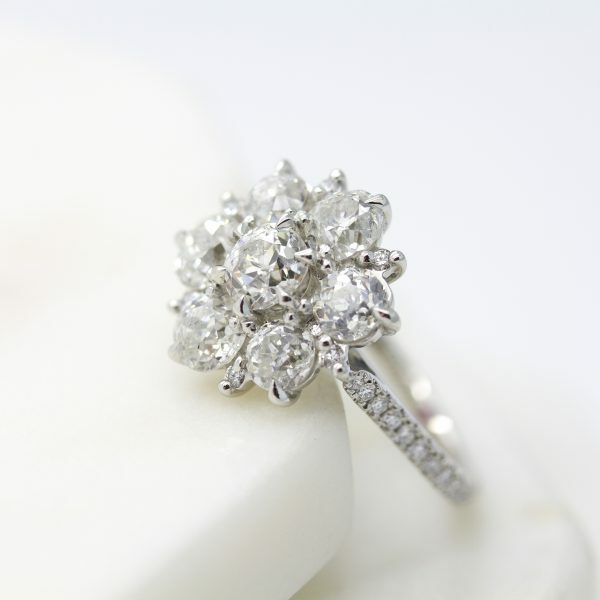 These days, everyone wants a customised engagement or wedding ring because anything less feels impersonal. You’ve got a boundless imagination. It’s time you found the custom-design to match it. 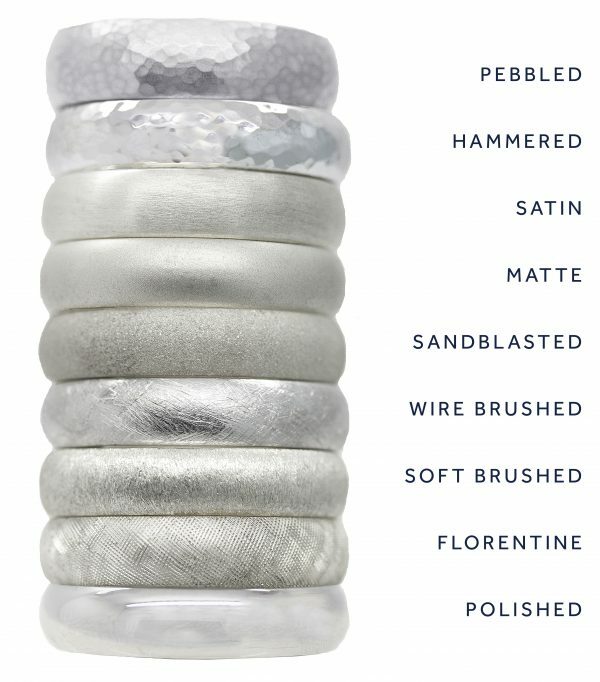 At Taylor & Hart, our rings are crafted in platinum, 18ct gold or a combination of both metals. 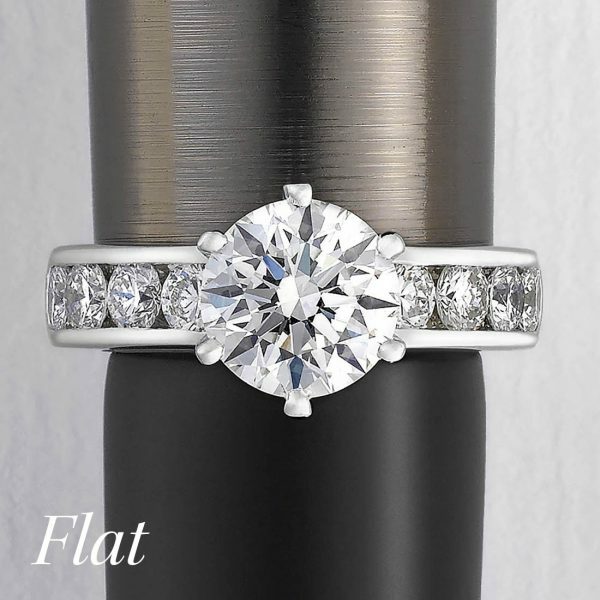 Platinum engagement rings are the preferred choice for admirers of white metals because of their long term durability, heft and low maintenance. Platinum’s cool sheen is the perfect canvas for the icy brilliance of diamonds or the mesmerising vivacity of coloured gemstones. 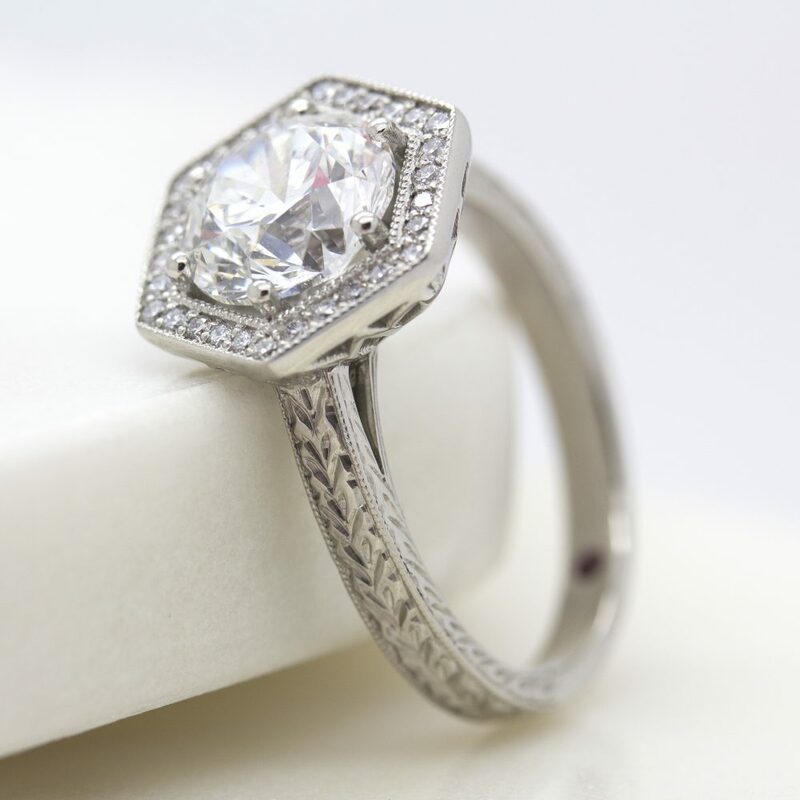 An alternative white metal to platinum is an 18ct white gold engagement ring which is a superior choice for everyday wear but will need to be rhodium-plated every year (depending on wear and tear) to maintain its white and bright appearance. 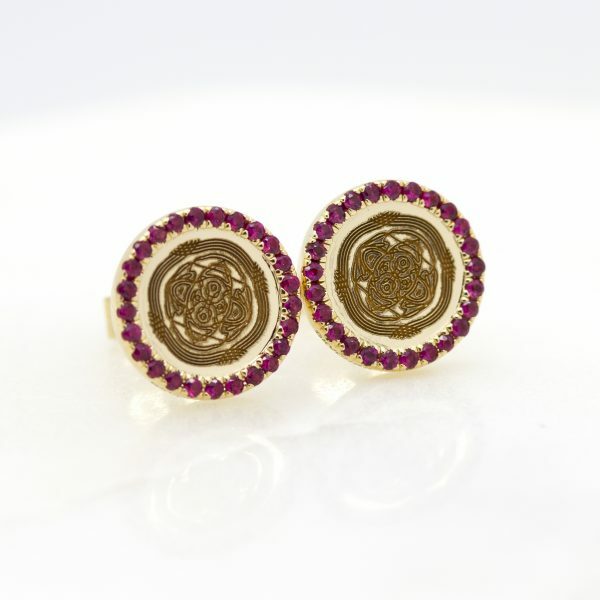 For those wanting a bit of colour, 18ct gold comes in yellow and rose (pink) hues. 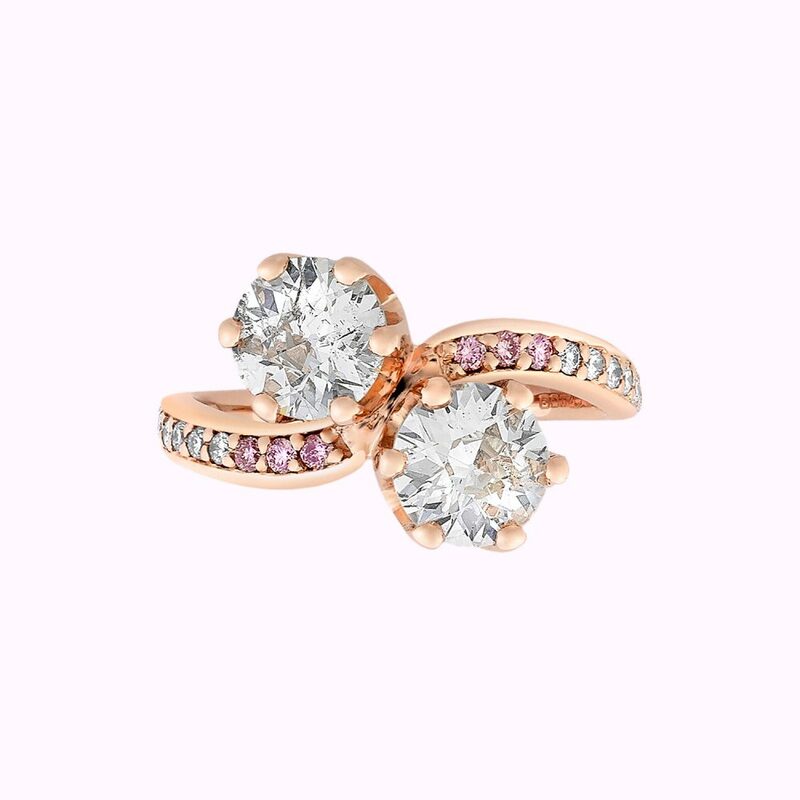 The soft, blush colour of an 18ct rose gold engagement ring complements every skin tone while the rich buttery shade of an 18ct yellow gold engagement ring is a classic choice for lovers of tradition. 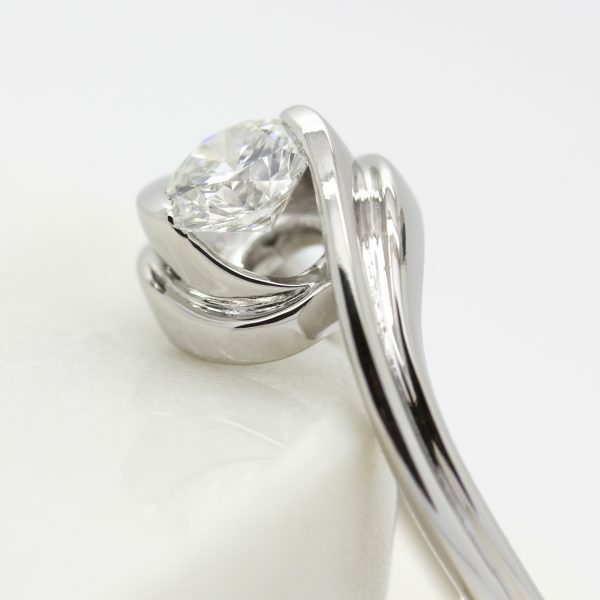 Mixing and matching metals in engagement and wedding rings is fast becoming a modern trend simply because it allows for further creativity and customisation. 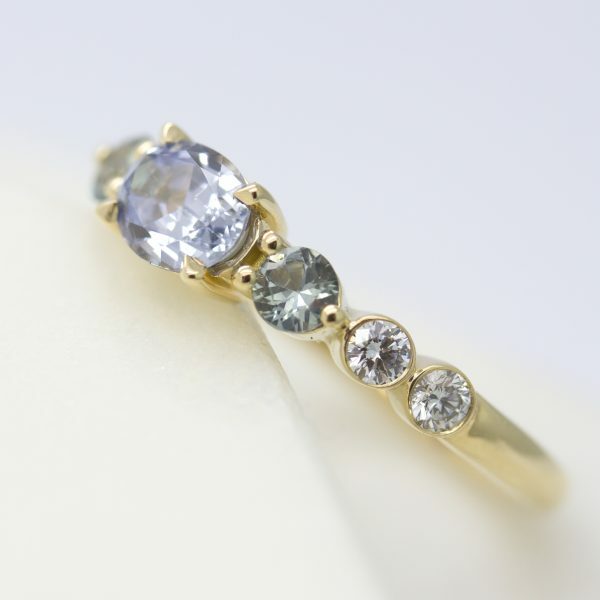 Two tone metal rings is an option for those who’ve fallen for more than one metal or those who wish to carefully complement chosen diamonds or coloured gemstones. 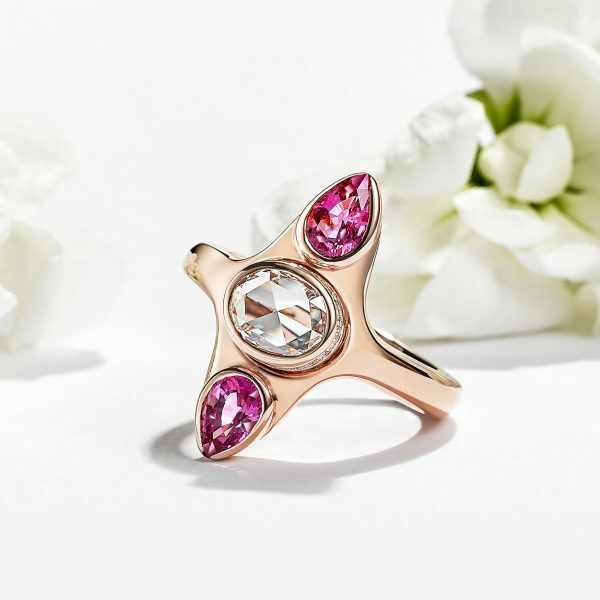 For example, if you are including pink sapphires or diamonds in your design, set these stones in rose gold—its blushy hue enhances the pink shades of the stone. The rest of the ring? Make it platinum for its signature cool sheen and easy maintenance. Metal finishes can add a personal touch to your design with each finish achieving a unique look. 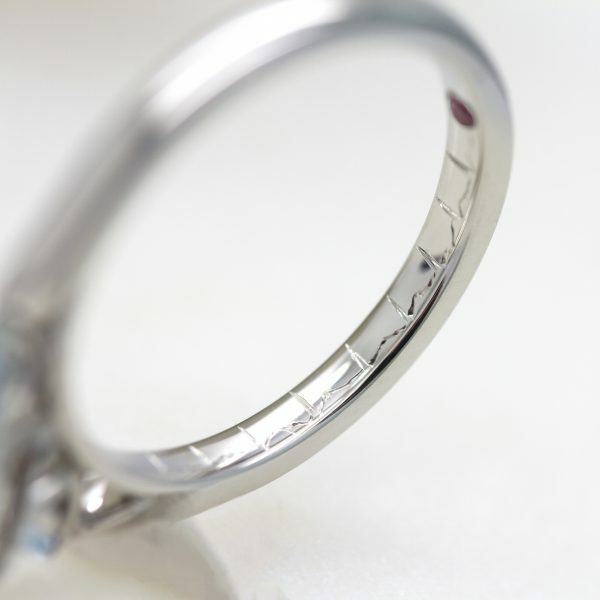 The classic jewellery finish—the surface of the ring is reflective and shiny. 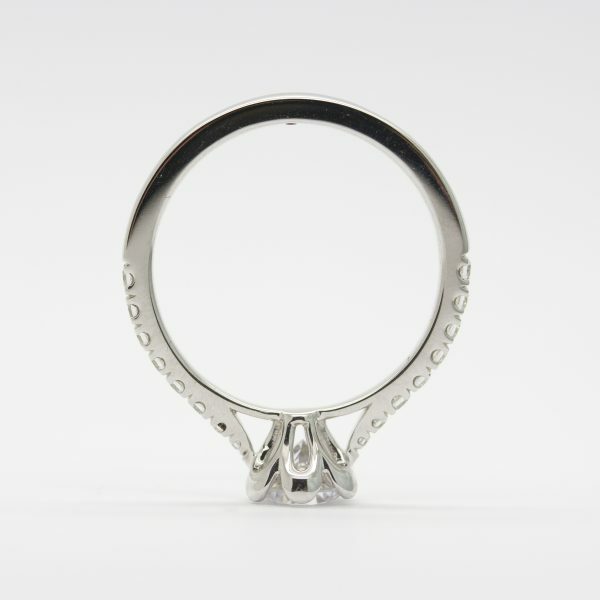 This features an intricate lattice pattern onto the surface of the ring, creating a bold, textured feel. These rings have a non-shiny, soft texture to them with small brush like marks. Wire brushed (a.k.a. simply “brushed”) rings are not shiny. They feature deep brush like marks that resemble fine hairs. The two brushed finishes are a popular choice for those that don’t want a polished finish. A noticeably coarse finish. It’s grainy to touch and it’s perfect for anyone seeking a textured, unpolished finish. Satin finished rings are smooth to the touch like polished rings, but you wouldn’t be able to see your reflection when gazing at the surface. Rather, these rings have delicate brush marks, creating a surface like a fogged mirror. This option is best for those who like the smoothness of the polished finish, but do not want the shine. This one is similar to satin but the brush marks are even less visible despite still appearing as a fogged mirror. Popular with those who prefer a shiny polish, a hammered finish provides a dimpled look as if a hammer was used to pound each dimple on the surface of the ring. Hammered but instead of a shiny, polished finish, it is matte and has a low reflective surface. There’s everything from one big centre stone, to using a variety of shapes to create a beautifully chaotic cluster or pristinely arranged halo. 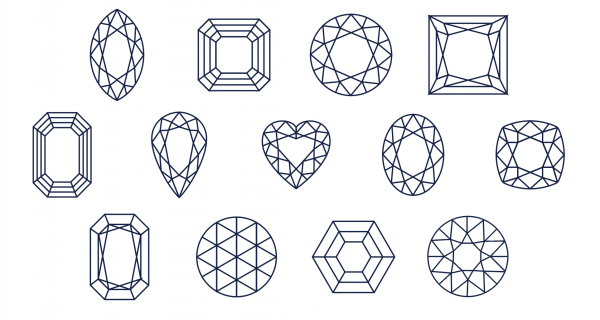 Diamonds and the three precious coloured gemstones – sapphire, ruby and emerald, come in all shapes: round, oval, princess, cushion, heart, emerald, radiant, pear, Asscher, Marquise – there’s a shape for every taste. Before diamond cutting machinery emerged in the early 20th century, diamonds were cut by hand, using techniques that are not used so frequently today. 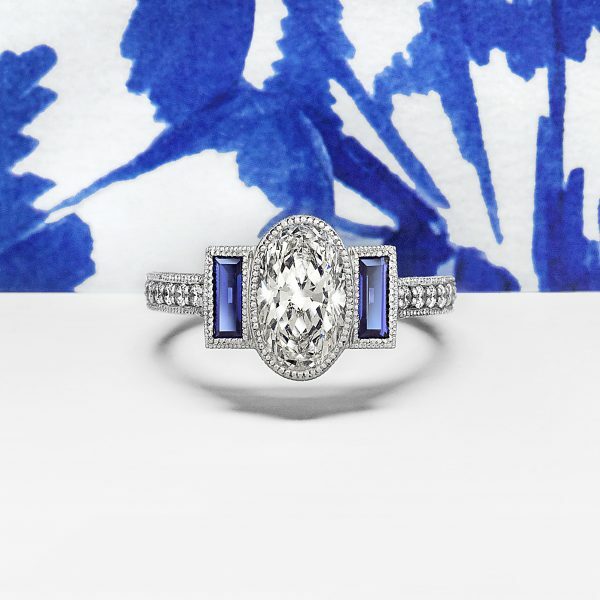 These vintage cuts resulted in diamonds that possessed shapes, facet structures and dimensions that captured the design trends of their respective eras. 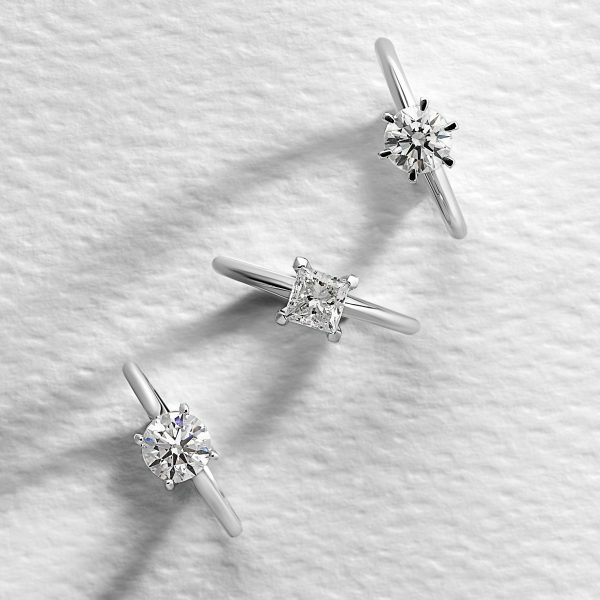 While diamonds cut in these ways often emit less brilliance than modern cuts, they do exude a more subtle and romantic glow. 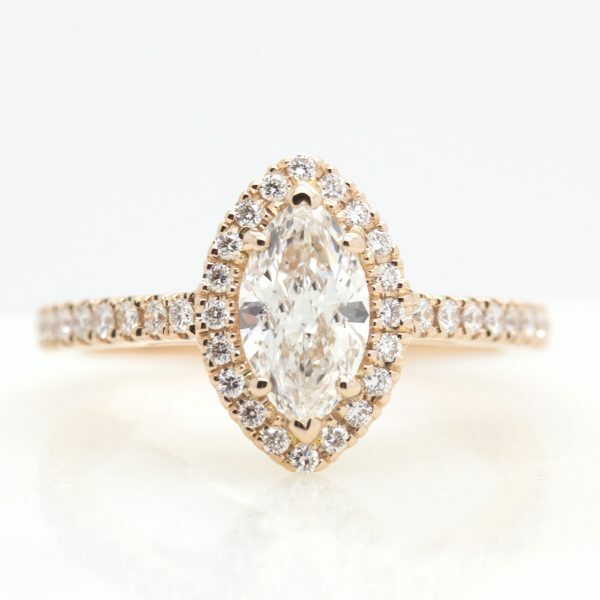 Vintage cut diamonds have risen in popularity over recent years due to their delicate beauty and rarity in modern culture. Rose cut diamonds date back to the 1500s and are considered to be one of the original diamond cuts, often seen in antique jewellery. This diamond cut features anywhere from 3 to 24 triangular facets, and it peaks into a dome shape—resembling the soft curve of a rose petal. 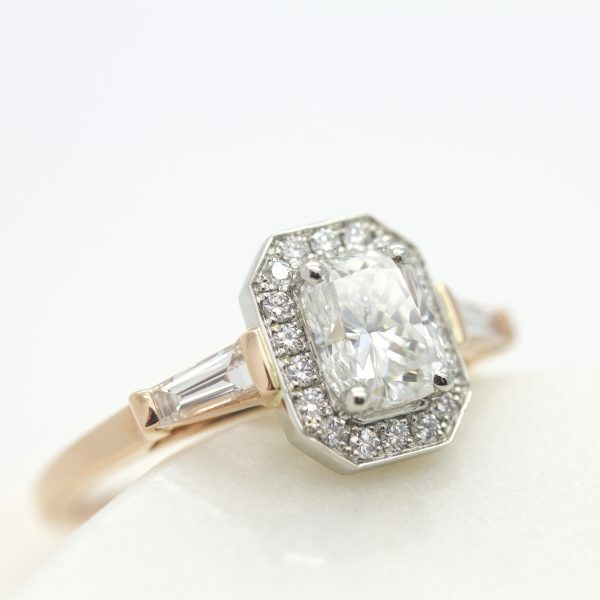 Rose cut diamonds are hand-cut giving them a distinct facet structure, unlike machine cut brilliant diamonds seen in the majority of engagement rings today. 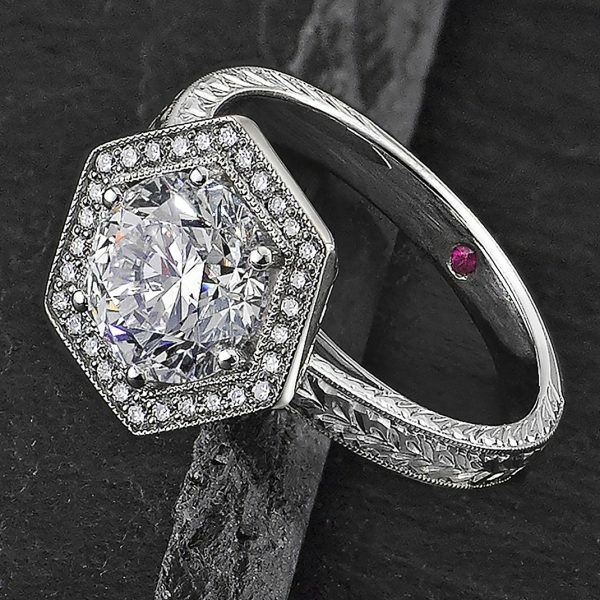 Much like Asscher cut stones, a rose cut diamond in a contemporary design is the perfect way to balance a vintage-inspired centre stone with your own modern twist. 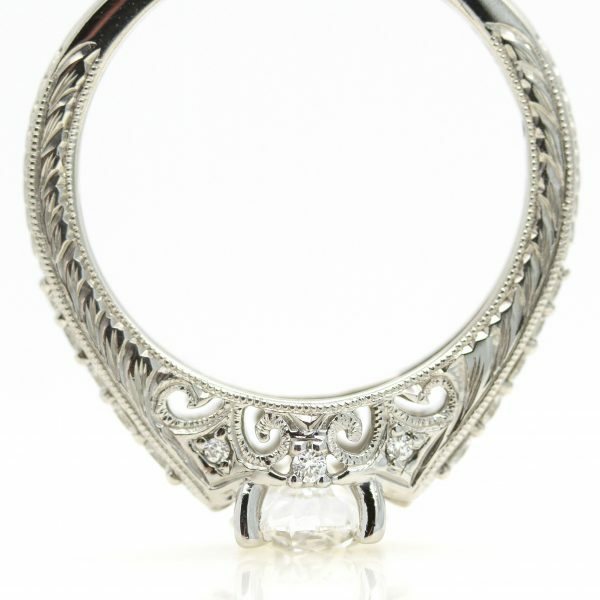 Old mine cut diamonds originated in the 18th century, similar to the Old European cuts. Developed in Brazil, the new centre of diamond production at the time, it was considered one of the earliest forms of the brilliant cut with 58 facets. They have a square shaped girdle with gently rounded corners, a high crown and a small table with a flat, large culet. 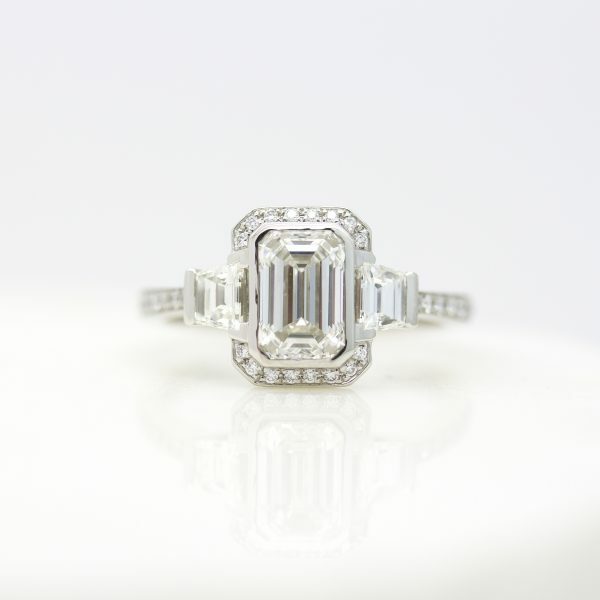 Very common in the Georgian and Victorian eras, they are similar to a modern day cushion cut. Old European cut diamonds surfaced in the 1700s. They have a high crown, small table and a large, flat culet with a circular girdle. 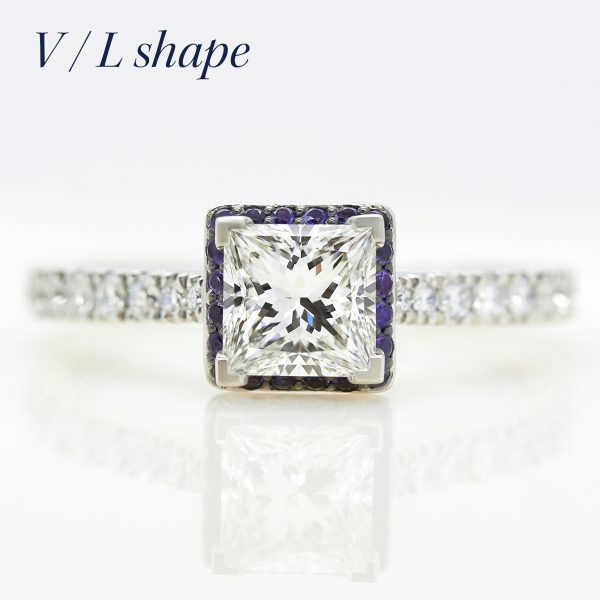 With 58 facets, it is the predecessor of today’s modern round brilliant cut. 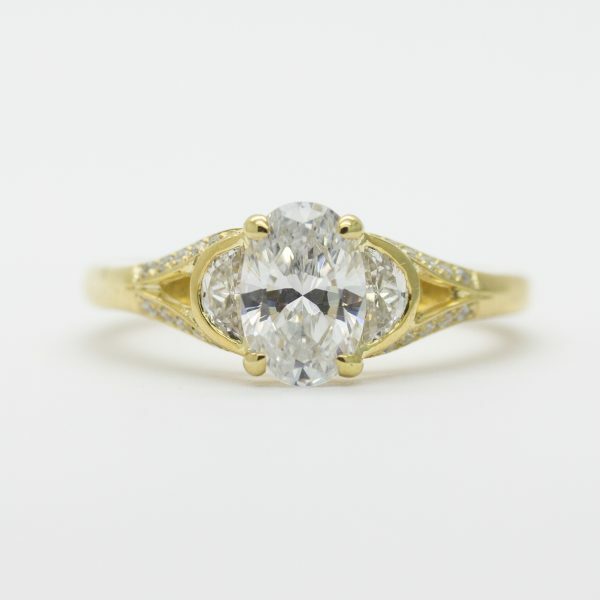 Mostly used during the Victorian, Edwardian, and Art Nouveau eras, this diamond cut is well known for its subtle romantic glow when worn in candlelight. 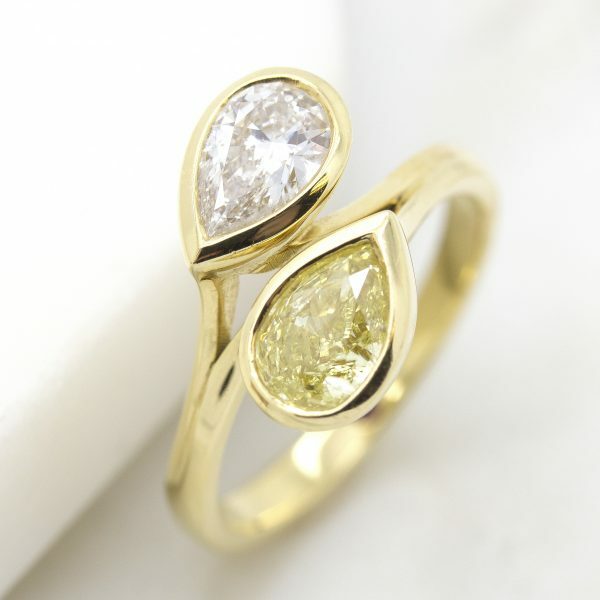 Now that you have found your perfect centre gemstone, why not add exciting sides stones to complement it? 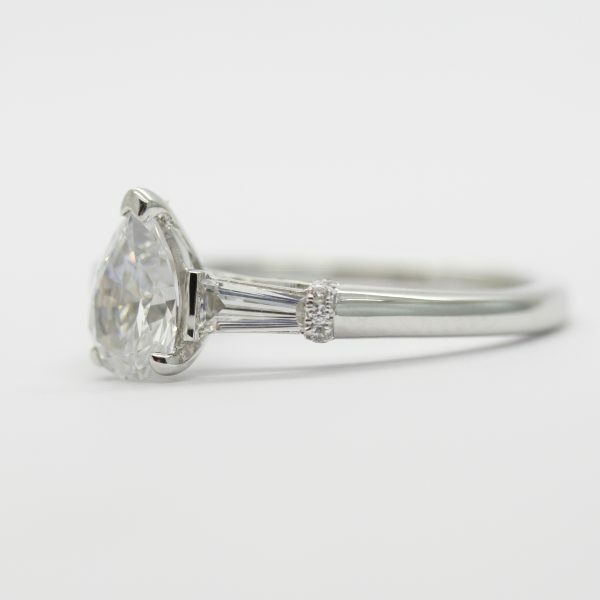 Baguettes diamonds are a perfect way to add lustre to your ring design. The word “baguette” is a French word for a long, narrow loaf of bread. These rectangular step-cuts typically have 14 facets and large, open tables with unbeveled corners. They can either be straight where the length of the corners are the same or they can be tapered where one corner is shorter. Always used as an accent stone, they became popular during the Art Deco (1920s-30s) era due to their geometric shape and lustrous lean facets. 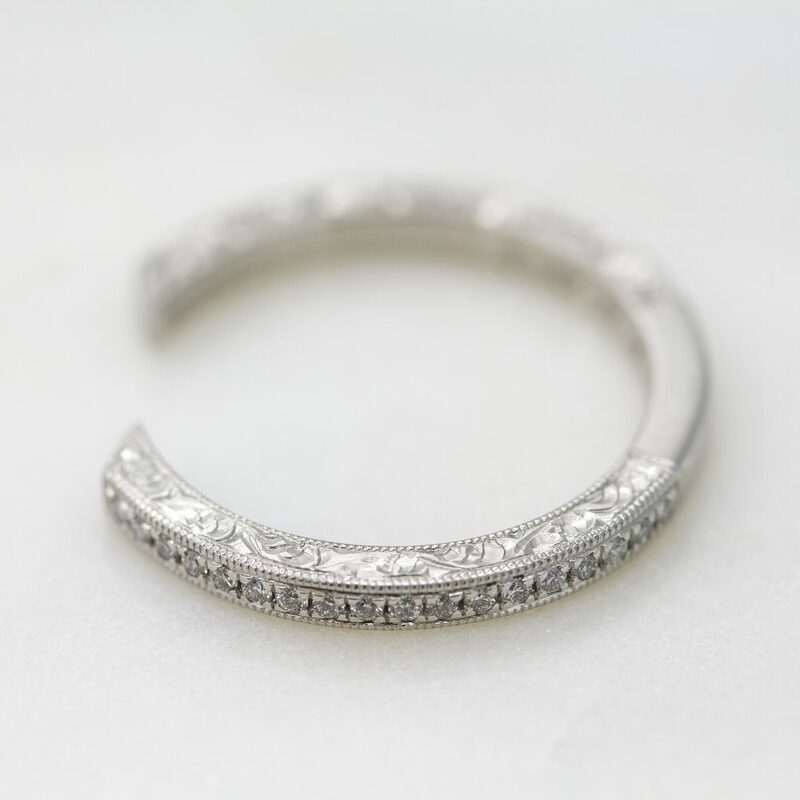 Half moon diamonds are cut straight on one side and curved on the other side; they are essentially an oval diamond cut in half. 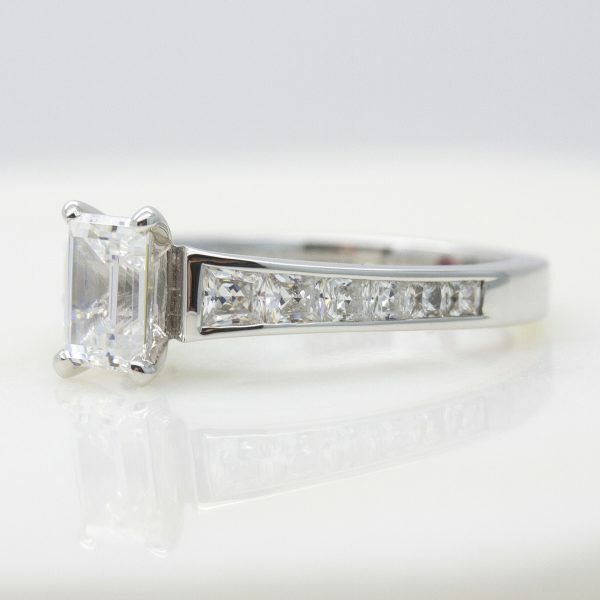 Originally the shape was developed as a step-cut in the 1920s but evolved into a brilliant cut through market conditions. 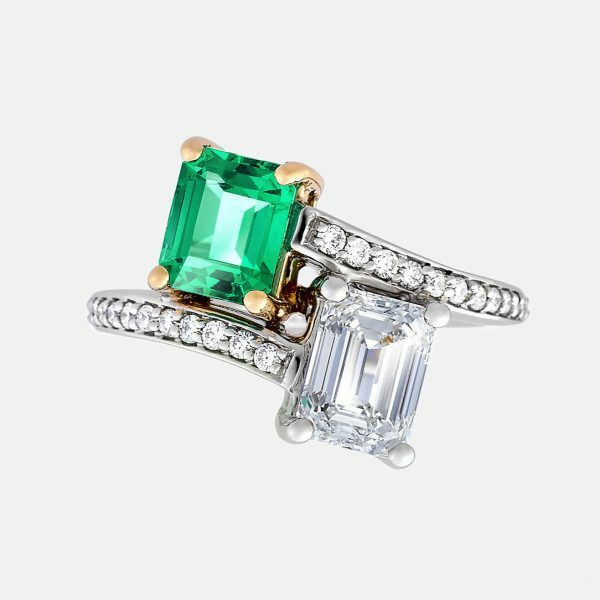 They are usually always sold as pairs to complement a centre gemstone with a straight edge like emerald, princess and cushion cuts. However, they are perfectly paired with ovals. 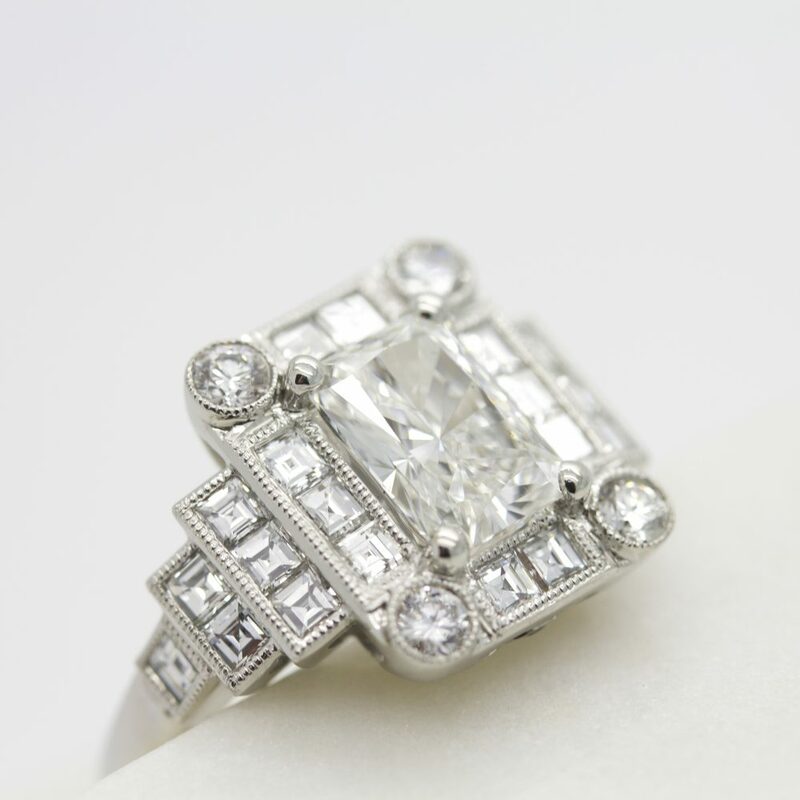 Dating back to the 1400s, French-cut diamonds became fashionable with French royalty and aristocracy in the 1600s. 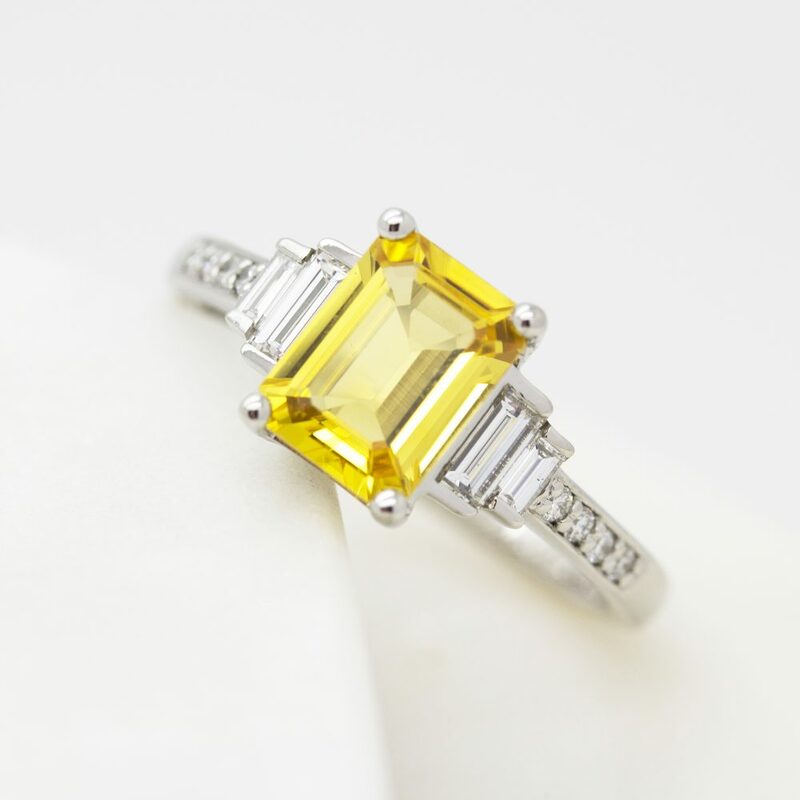 Easily recognisable by the pattern the crown facets on the table of the diamond makes with each other, these square or rectangular gemstones complement the geometric designs of the Art Deco period. 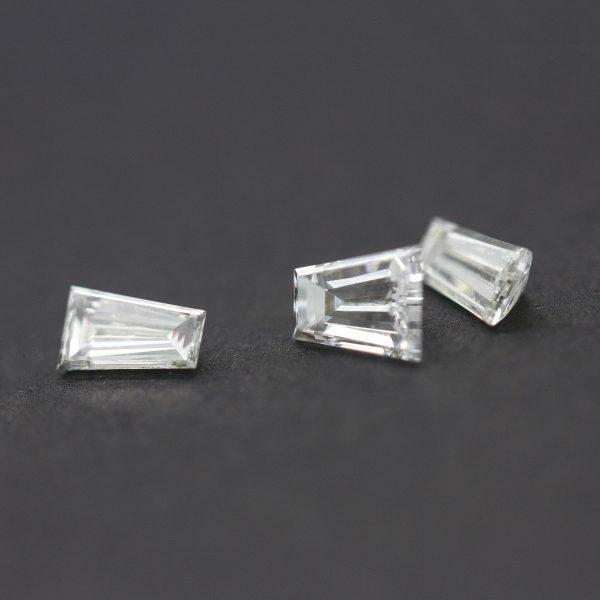 Carre cut diamonds are square step-cuts whose corners are not truncated. 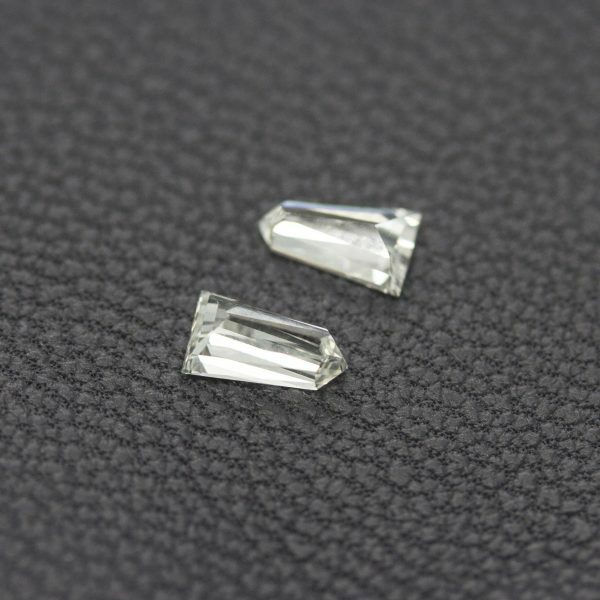 As with most step-cuts, high clarity diamond rough is used when cutting these stones as the step-cut faceting is very unforgiving with clarity characteristics. 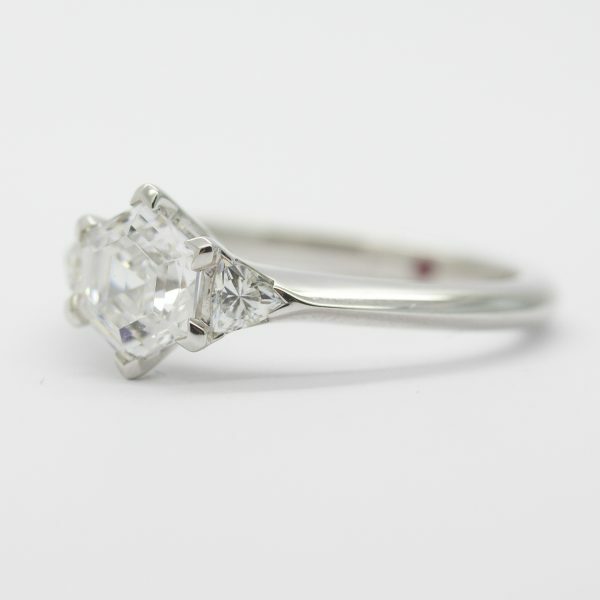 Traditionally used in antique jewellery, these cuts add beautiful lustre to any design. The name comes from the shape of a bullet where three sides have straight lines forming a part of a square with the fourth pointy side having a sharp edge. 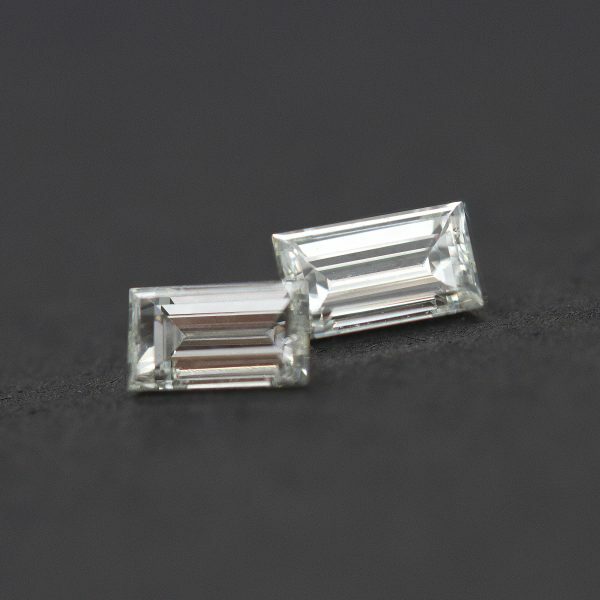 Typically step-cut, these diamonds can also be brilliant-cut and are usually sold as pairs to complement a centre gemstone. A trapezoid has four sides, the top and bottom sides are parallel while the two remaining sides slant upwards and inwards. 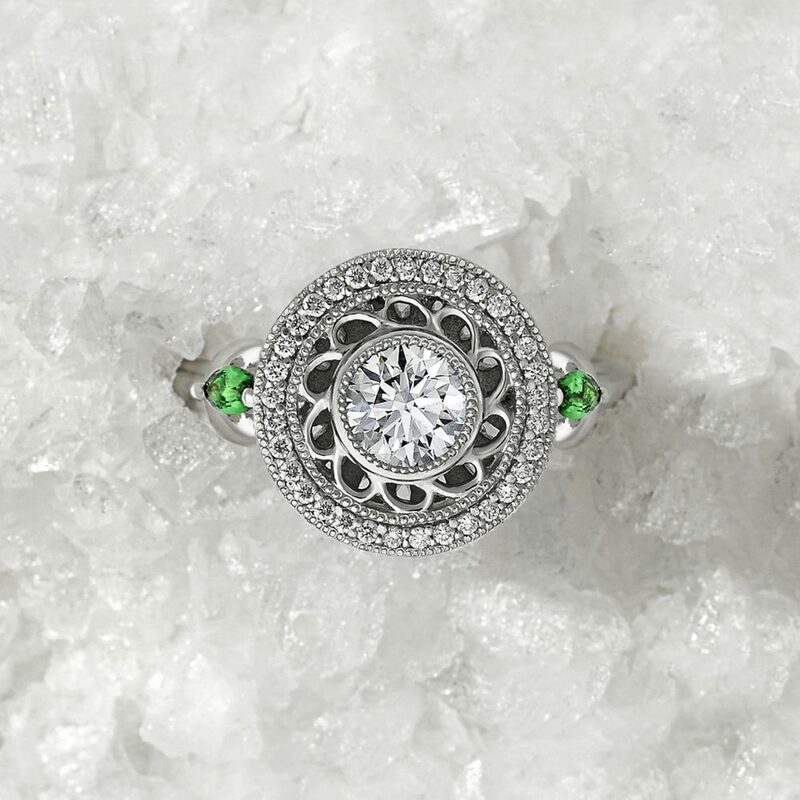 Like half-moon diamonds, they are usually always sold as pairs to complement a centre gemstone with a straight edge like emerald, princess and cushion cuts. 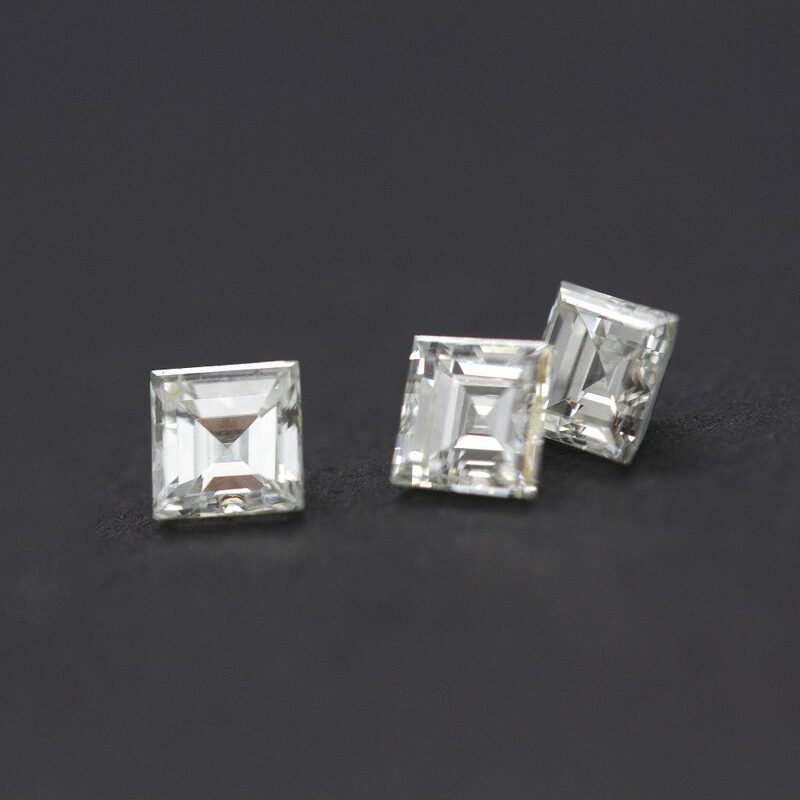 Typically, trapezoids are step-cut but are also available in brilliant-cuts depending on the faceting of the centre gemstone they are paired with. 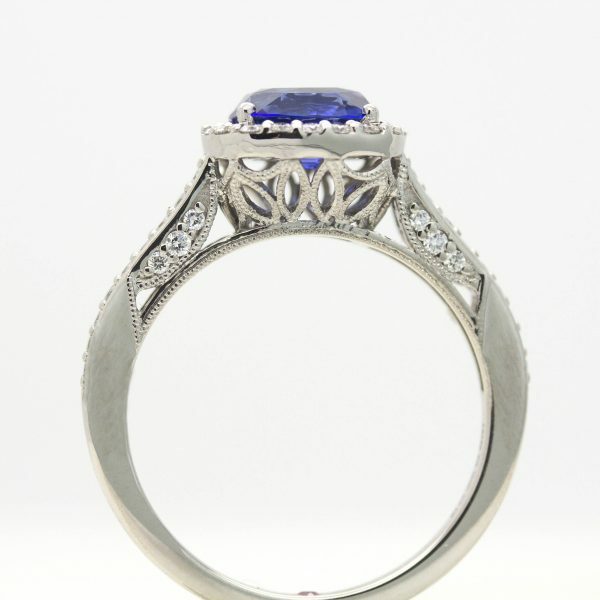 A trilliant cut, sometimes called a trillion or trillian, is a triangular type of gemstone cut. 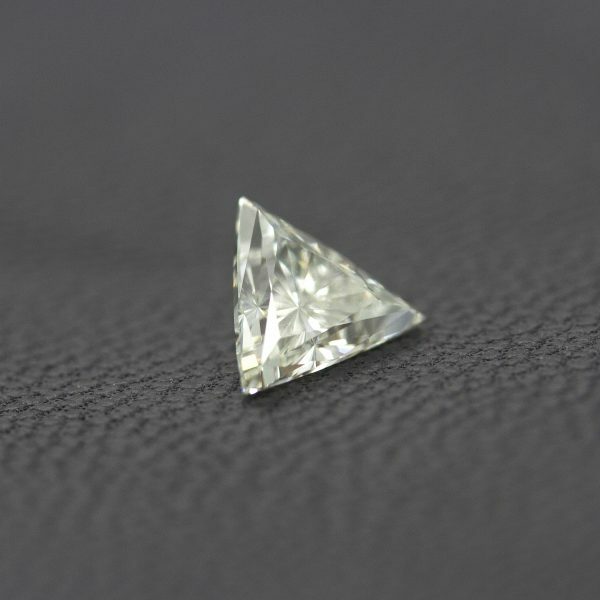 Always a brilliant cut, it has either curved (trillions) or not curved (trilliants) sides. 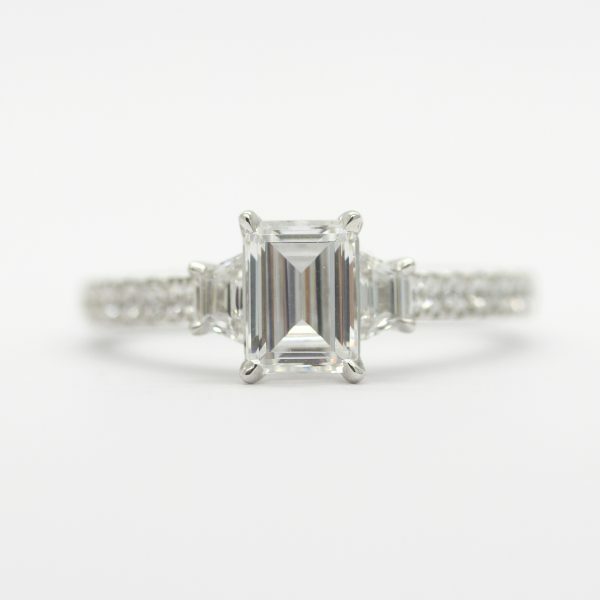 Developed in the first half of the 20th century by the Asscher brothers in Amsterdam, this cut is used as either centre or side accent gemstones. 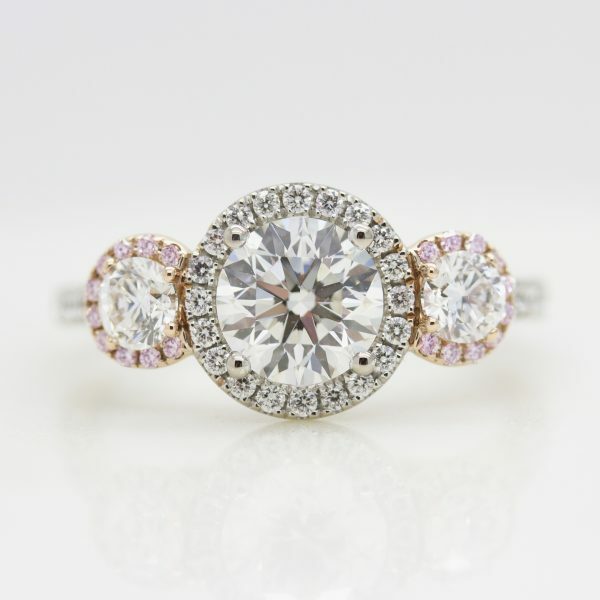 The choice of engagement ring setting is important as it determines the overall finished look of your ring design. A relatively simple concept, the claw (a.k.a. prong) is a piece of metal that holds gemstones in place from underneath by gripping around them in three, four, five, or six places. The more claws, the more secure. 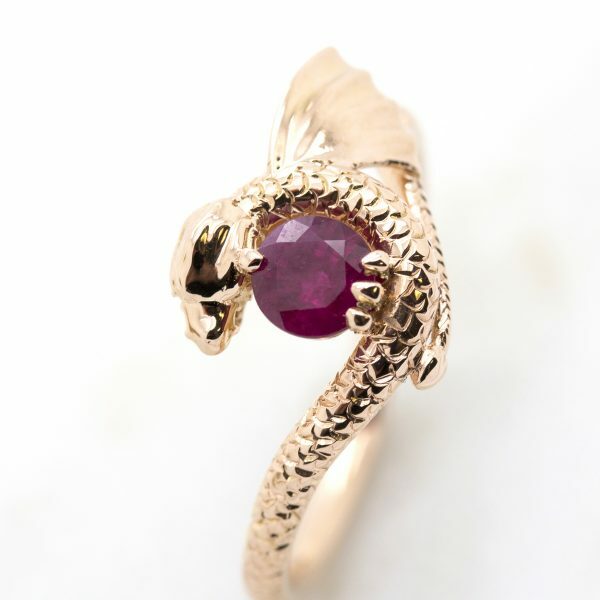 However, more claws also mean less light around the gemstone, making it slightly less visible. The claws can be finished rounded, flat or pointed (a.k.a. eagle)–you call the shots. The customisation doesn’t end there. Claws come in a variety of shapes. The cathedral setting takes its inspiration from the high arches and beams that uphold ceilings inside cathedrals. With graceful arches of precious metal, the cathedral setting is most visible when viewed through the finger. 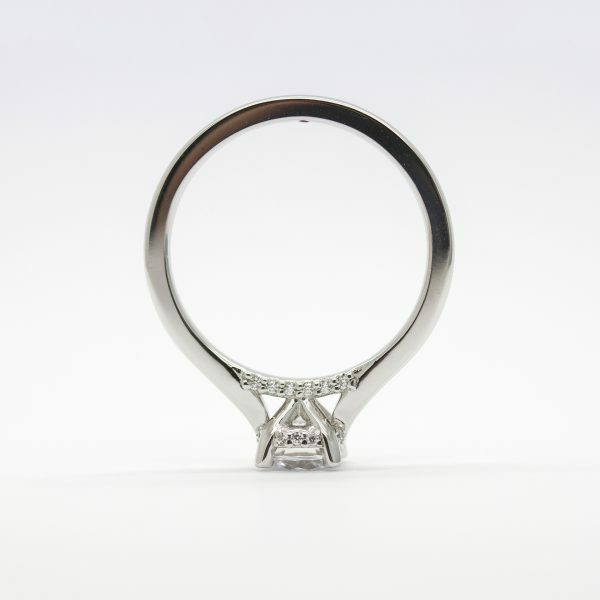 The centre stone of the ring is elevated to dramatic heights, allowing maximum light to flow around and through it, resulting in breathtaking brilliance that reflects off the metalwork. 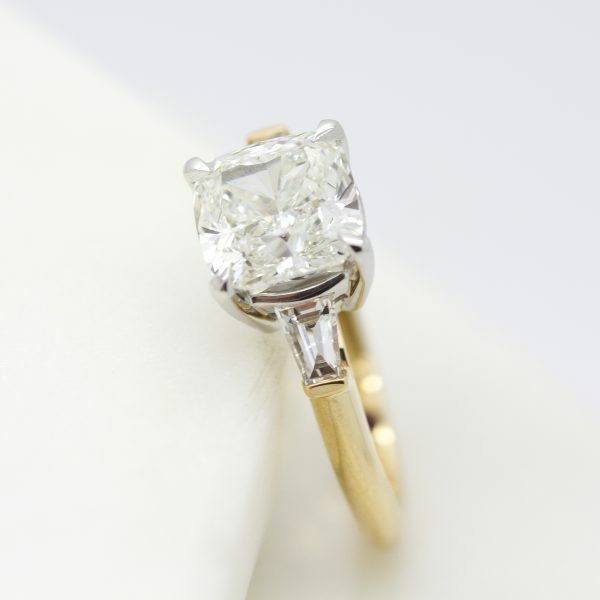 It also ensures that your diamond or coloured gemstone has a magical impact because the size of the stone appears larger since it is lifted off the shank. 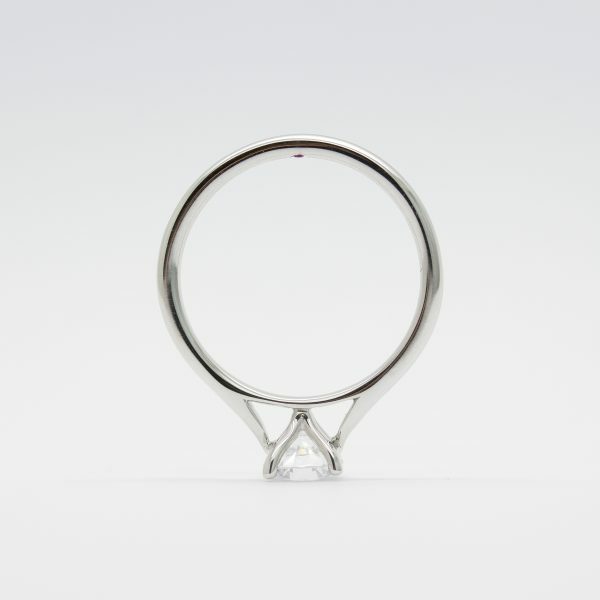 A contemporary favourite for active goers, bezel settings offer a slightly more secure grip on centre gemstones than the classic prong setting and protect against accidental damage, by encasing the stone seamlessly with a piece of metal. 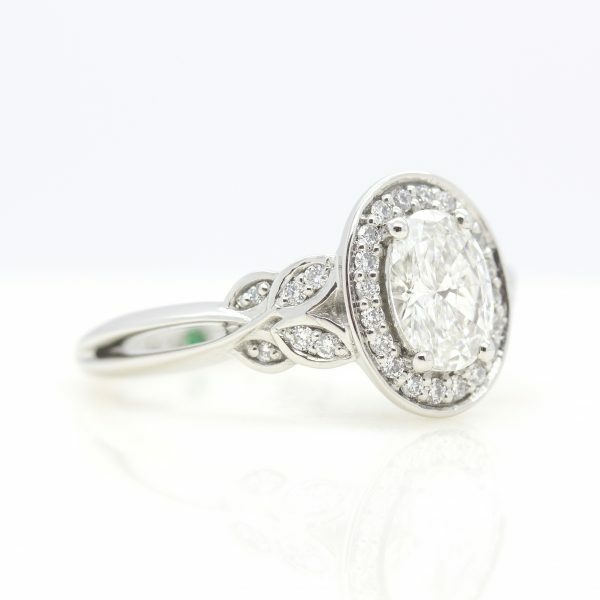 A bezel setting also ensures the engagement ring doesn’t catch on clothing fibres or hair. The aesthetic is clean, modern, and easy to love. And in the spirit of commitment, if you’re not ready to commit to a bezel, try a half bezel—this setting adds more brilliance to the centre gemstone because it leaves two sides of the gemstone open. No prongs or bezel here. 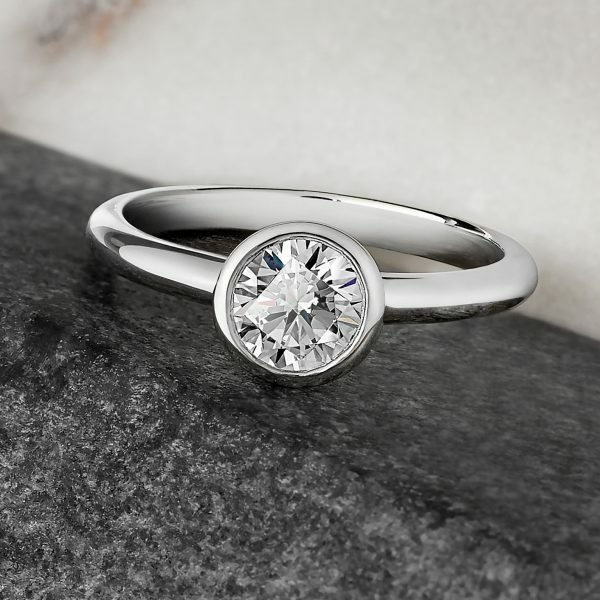 This setting holds the centre stone in place simply with pressure. 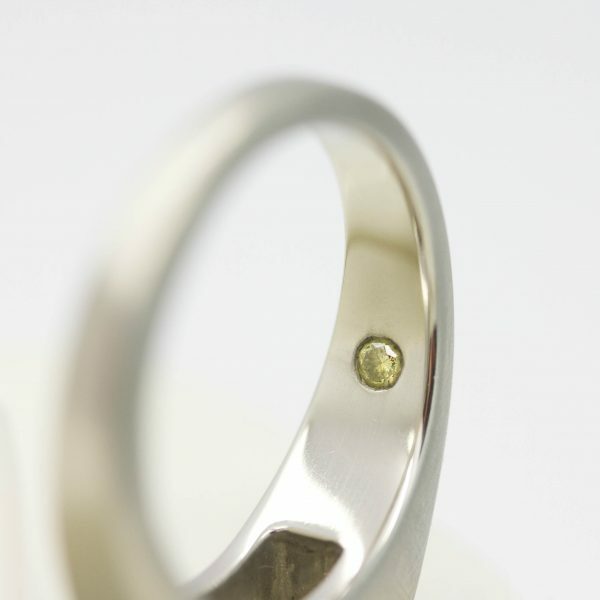 Small grooves in the metal allow the girdle of the stone to sit in the ring with the right amount of pressure applied to secure it. A cathedral setting where the claws are shaped to resemble flower petals. 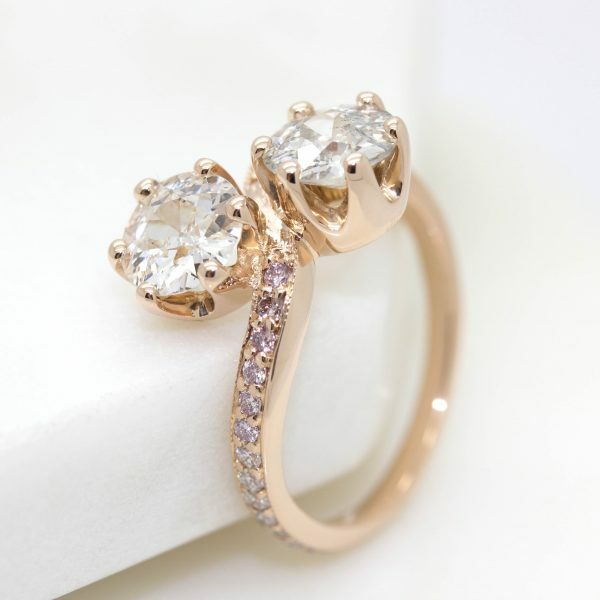 A crown setting is a prong setting for a gemstone that in profile looks like a crown. 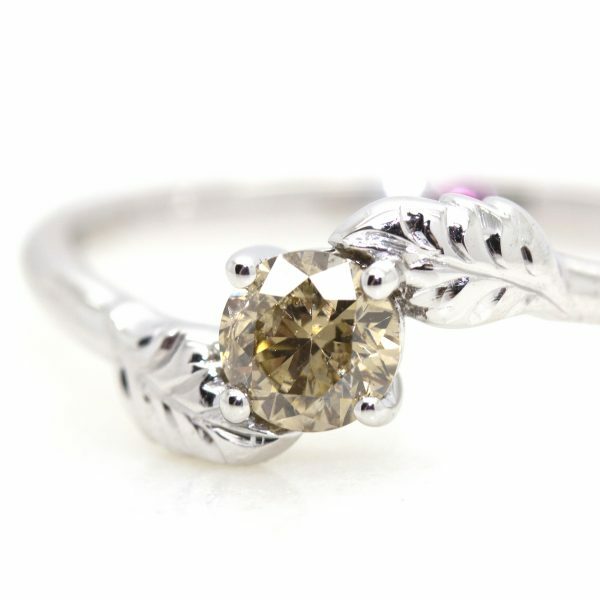 This setting is very secure, however, due to the number of prongs surrounding the stone, it can look less delicate than other settings. 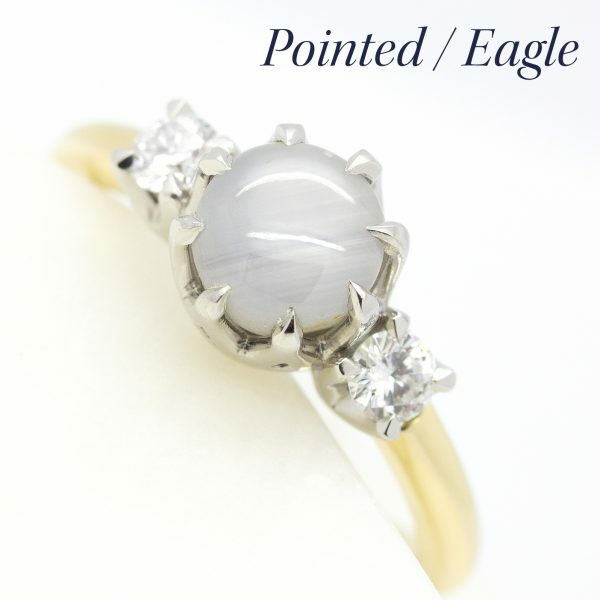 A ring setting with no rails is essentially a cathedral settings where the side profile looks as if the stone is nestled closely into the claws to give an illusion of floating. 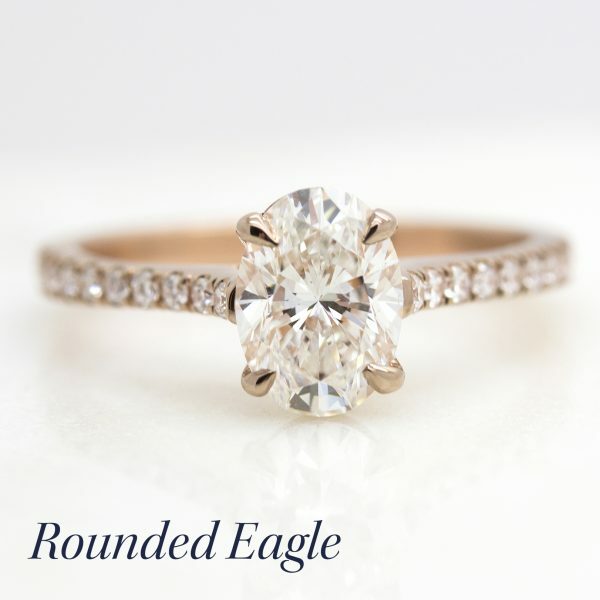 Each of these design elements can be personalised to achieve a truly one-of-a-kind engagement ring. 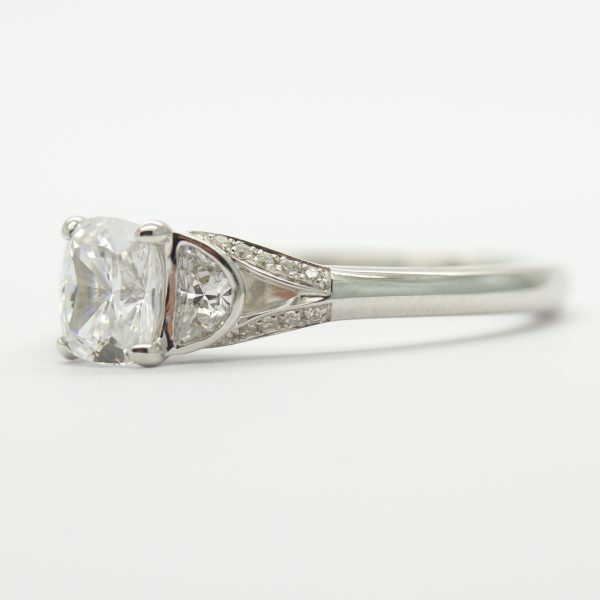 This antique engagement ring detail emerged in the Edwardian era between 1905 and 1915, but reached the peak of its popularity in the Art Deco era during the 1920s and 1930s. 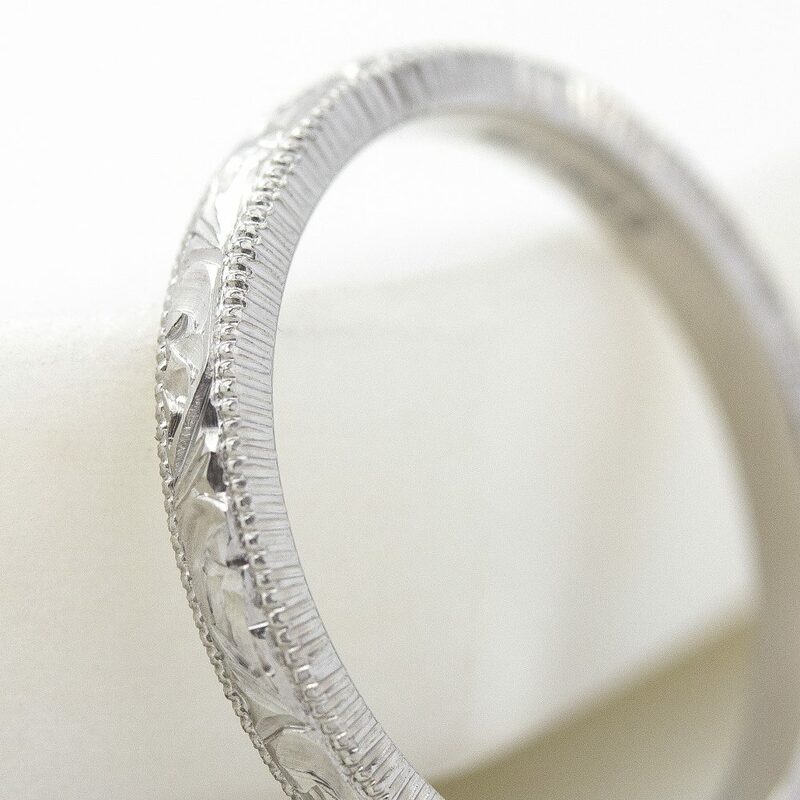 Inspired by delicate lace, filigree features beautifully intricate hand carved shapes and designs in the collet and along the band. Its ever present popularity makes it timeless. 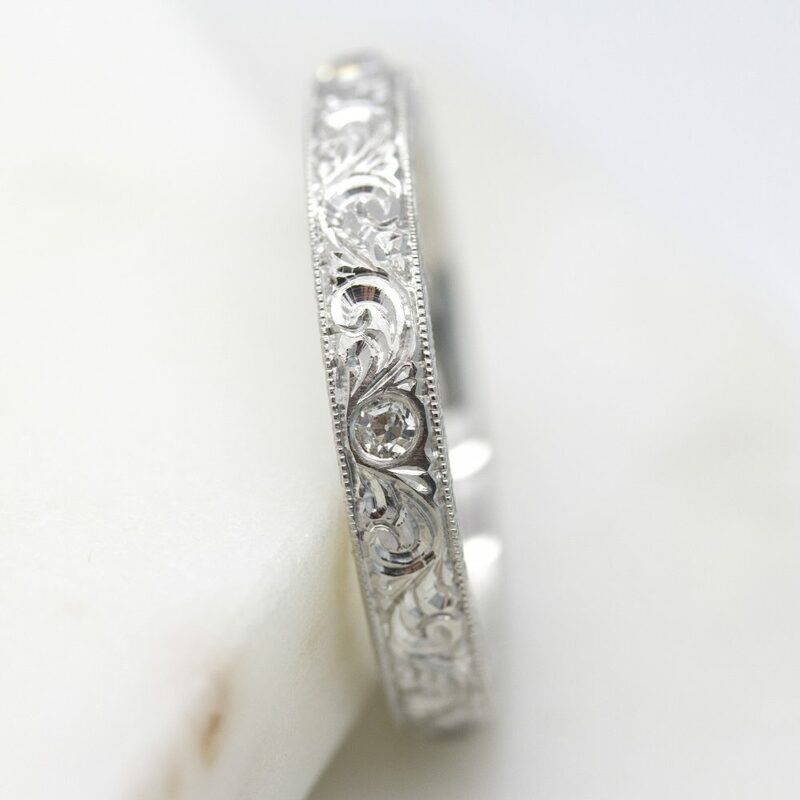 A hand engraved engagement ring merges your own personal style with a vintage design. 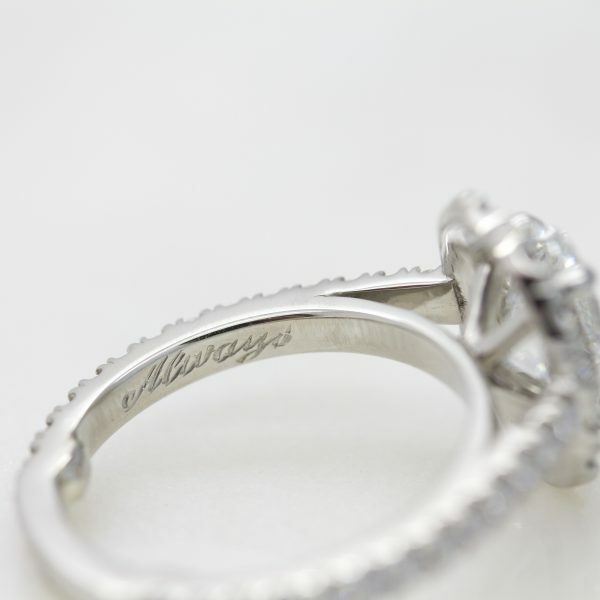 Hand engraving can achieve a variety of results from organic or floral designs to patterns or text. This really can be personalised to be whatever you want—from the magical language of “Elvish” inspired by Tolkien’s novels to geometric patterns—the choice is yours. 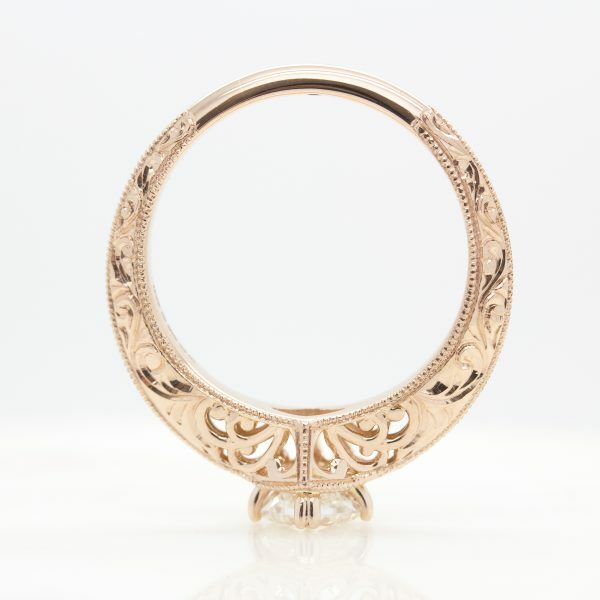 Master engravers are a rare breed of artisans in a world filled with fast moving technologies–what they can do with their hands and tools is utterly stunning! 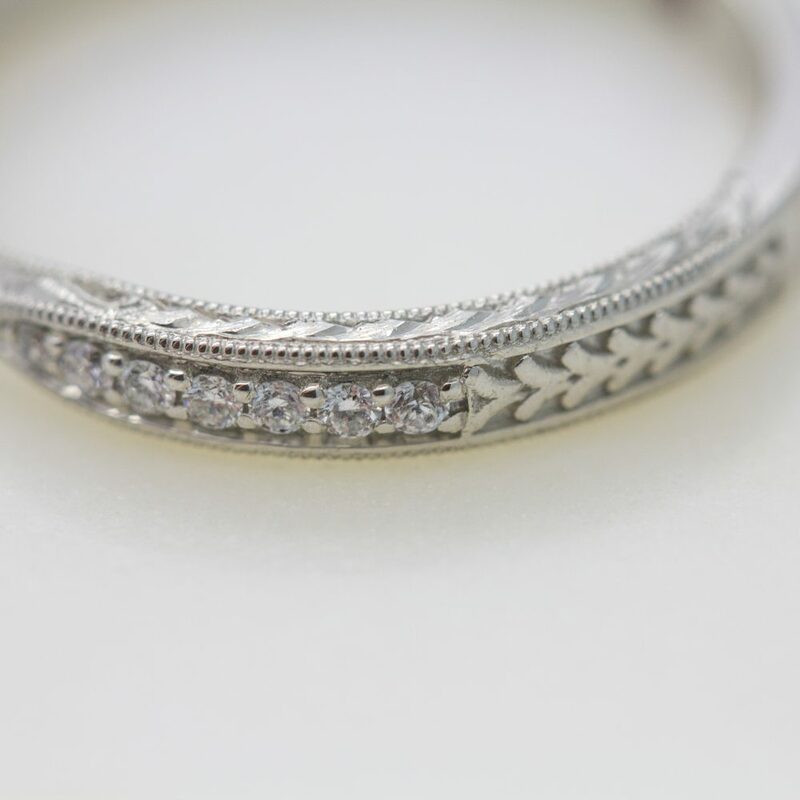 Milgrain is a beading detail that is often seen in antique style jewellery. That’s right—another feature that will give you that vintage feel! 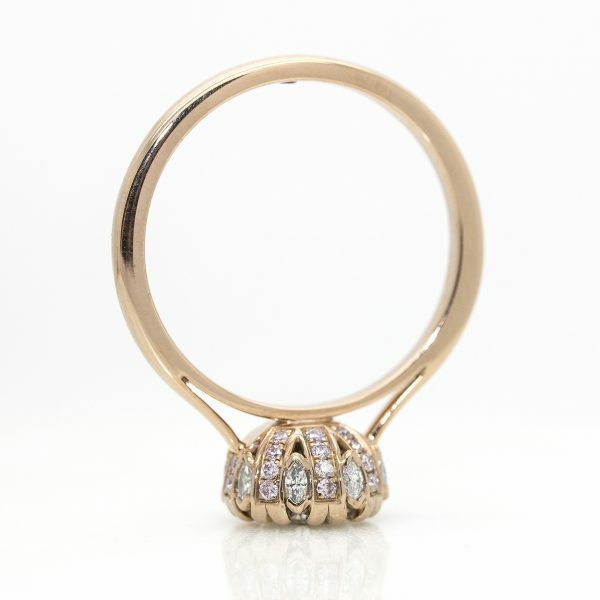 Typically featured along the edges of ring designs, milgrain acts as a textured frame, highlighting the beauty of the gemstone or diamond at its centre. 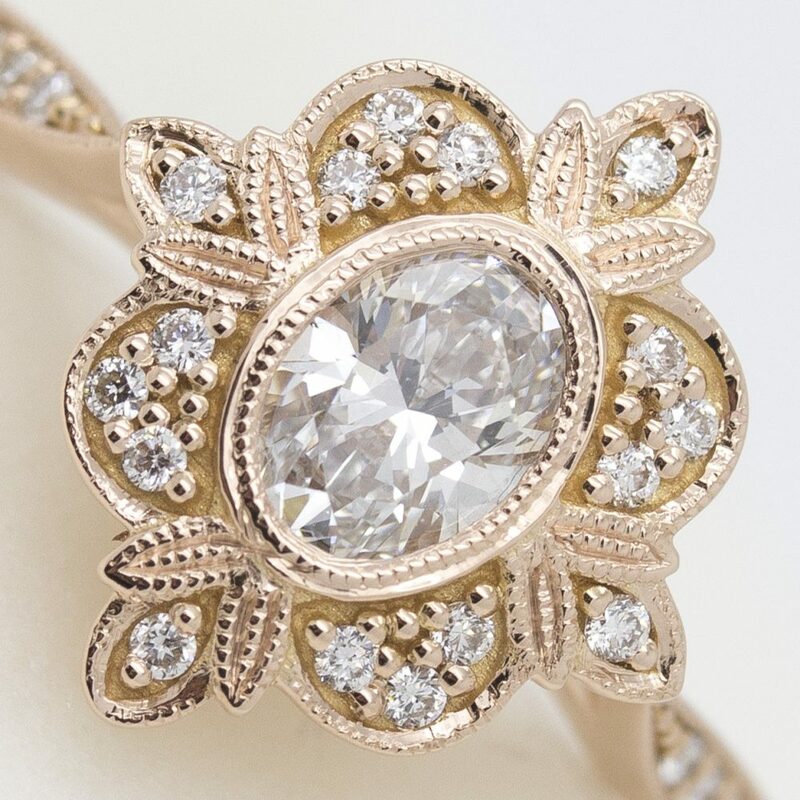 From the natural, organic forms of the Art Nouveau movement or the bold, geometric, dazzling designs of Hollywood’s golden ages, there’s a design element for every taste. 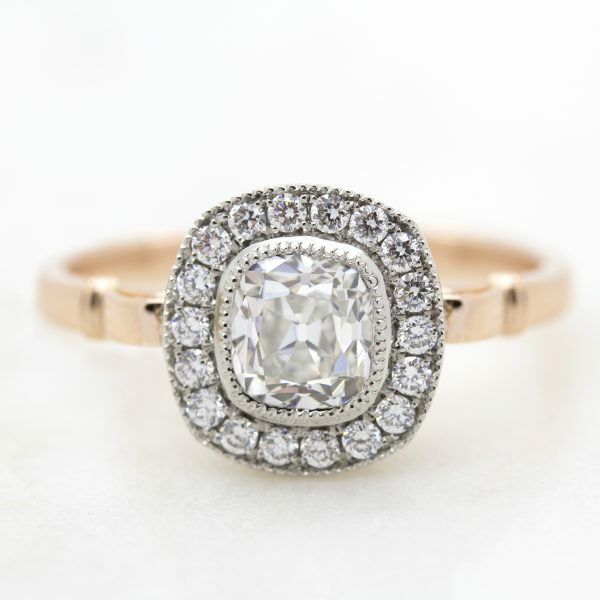 Vintage engagement rings are an excellent way to incorporate styles from eras gone by in a contemporary way. For those who like their secrets, your customisation doesn’t have to be in plain sight—you can have lyrics from your song, the date you first met, a quote from a personally meaningful movie, or a pet name engraved on the inside of your band. It can be unique and original to your love story. We even engrave heartbeats (electrocardiograph engraving), so your partner can literally have a piece of your heart with them at all times. 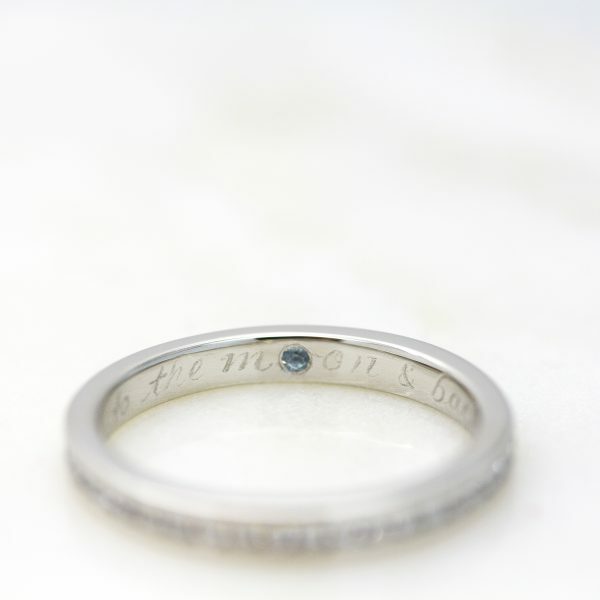 See our blog for some more inscription engraving ideas. If inscription alone isn’t enough, set a small gemstone or diamond on the inside of your band—perhaps your soulmate’s favourite colour or birthstone. 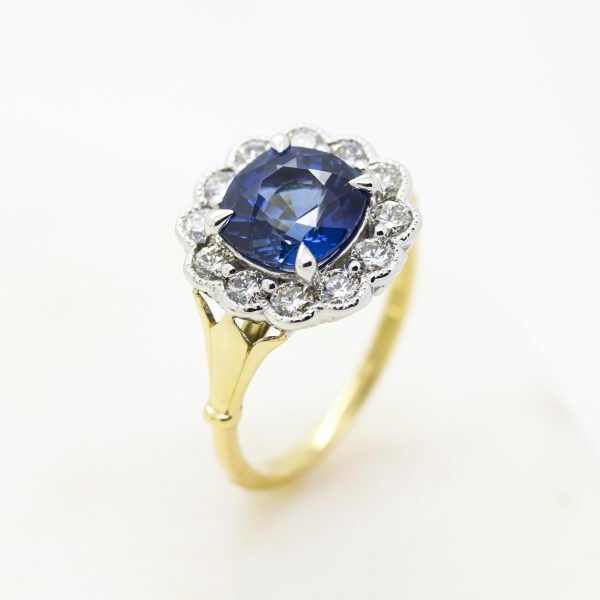 While not all gemstones are suitable for this, sapphires come in every colour, so you’re guaranteed to find a colour match. There seems to be an infinite number of colours in our colour palettes these days. 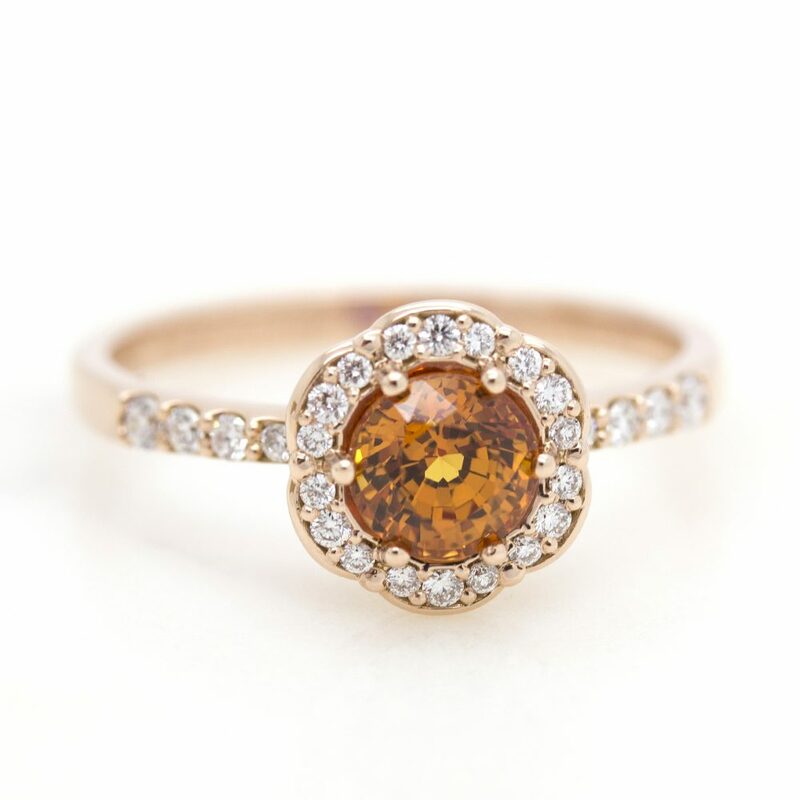 Gemstones are no exception to that gorgeous range. 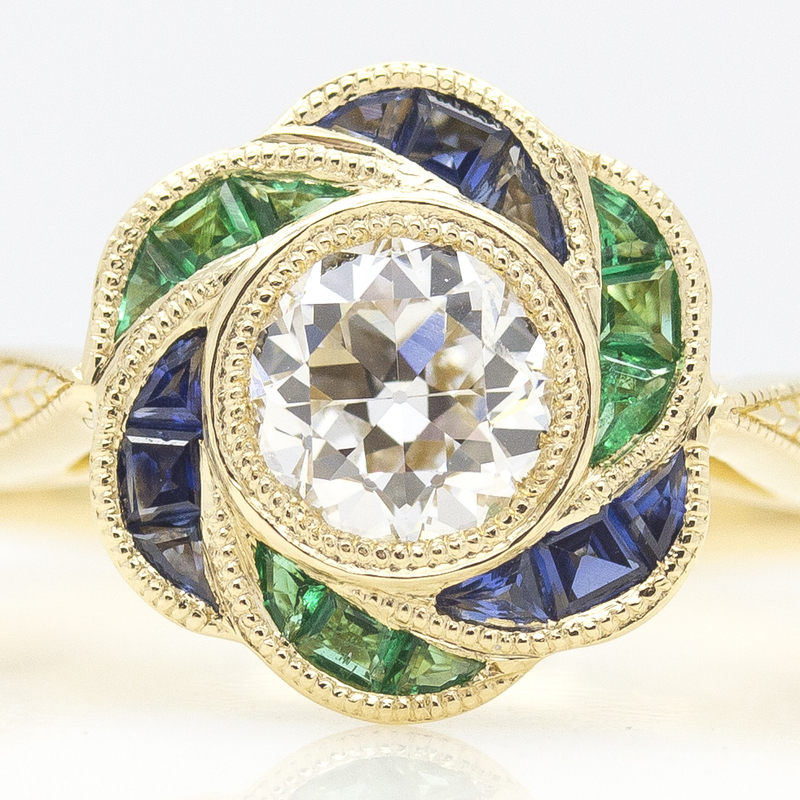 Diamonds and sapphires come in many colours while rubies and emeralds are reliable for their iconic shades. 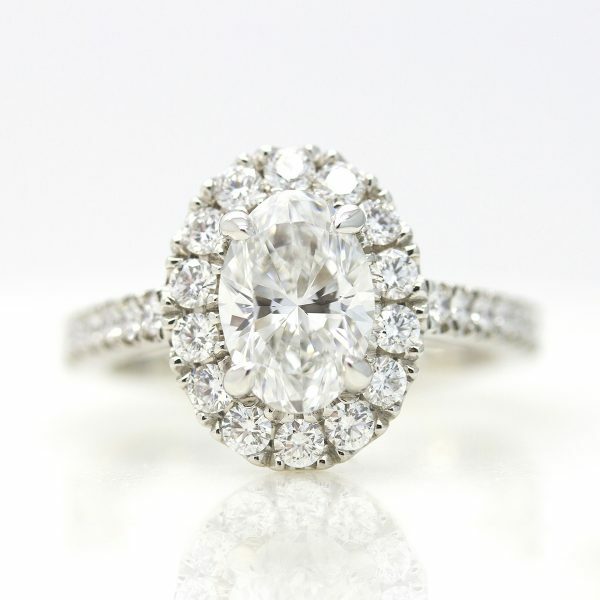 Most engagement rings feature white diamonds. 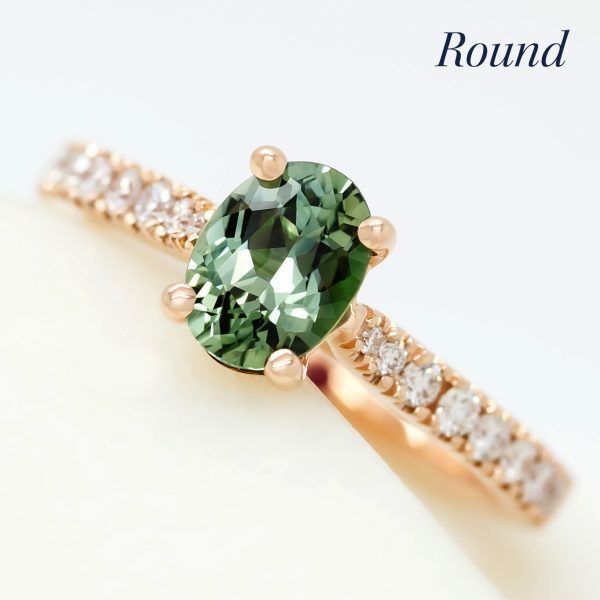 Yet, a touch of colour can really make a simple ring more interesting and beautiful, and coloured gemstones are trending—as both centre and accent stones. You’ve guessed –these designs are inspired by nature. That means: everything from floral inspired halos, textured vines and leaves to dragons, lobsters and whales; if it exists in the natural world, we can try to immortalise it on your finger. What if you could wear your loved one’s voice? Well, you can. One’s voice can be captured in a visualised sound bite. By recording a spoken phrase, a visual pattern of the sound is created to uniquely represent the person’s voice. 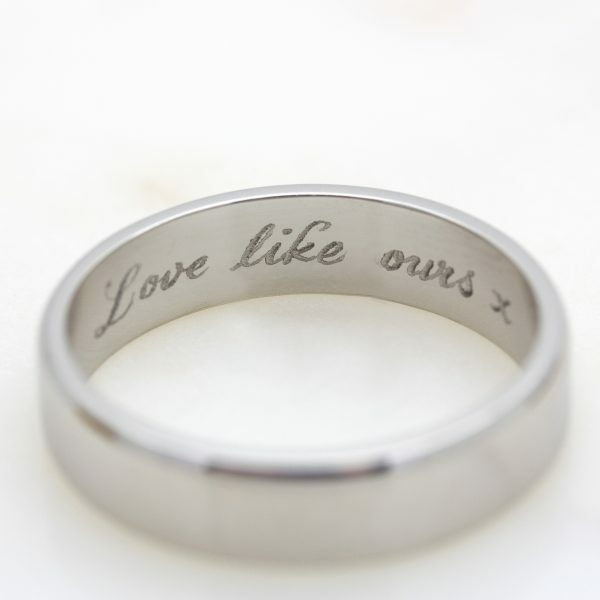 Once you have that, laser-engrave it onto your most treasured item of jewellery. The possibilities are endless – from the unique, to the unusual.